My visit with Fr. 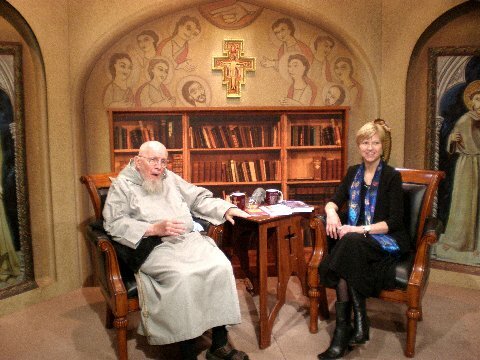 Benedict Groeschel on EWTN's Sunday Night Prime! 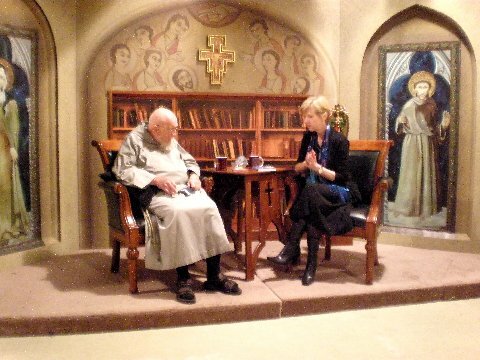 It was wonderful to meet with Fr. Benedict today to record a TV show. Chatting about our dear mutual friend, Blessed Mother Teresa. I wanted to continue to thank HIM for having me! 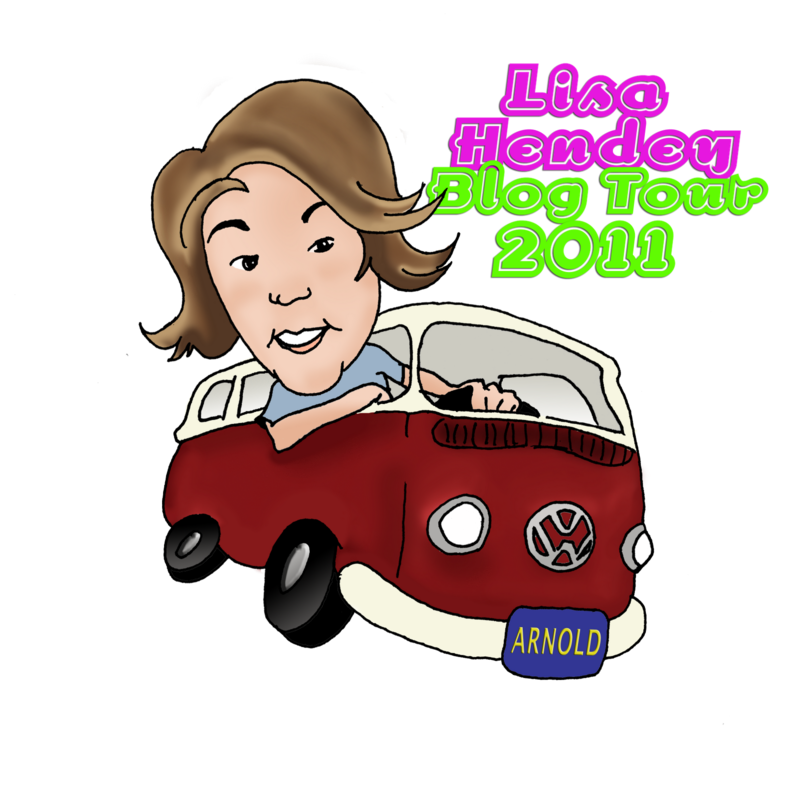 Stay tuned for our show coming up in Feb. or March of 2012. I'll keep you posted! Do you have songs to share? Share in the comment box. Share a link too if you have one. Click the "listen live now" button on the right. Celebrating her great love for the family as a "domestic church," Donna-Marie Cooper O'Boyle leads the reader to a deeper appreciation of the role that motherhood plays in the sanctuary of vibrant family life. 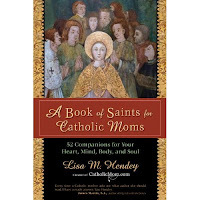 Her observations and advice are grounded in personal experience and informed by a profound understanding of the Church's teachings on the feminine genius and the importance of the Christian family in the modern world. 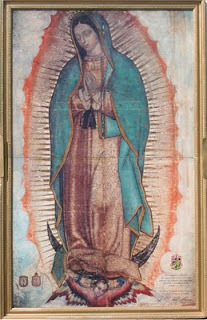 May Our Lady of Guadalupe wrap her mantle around us all! 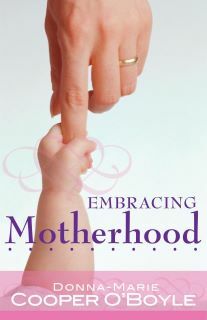 My book trailer for "Embracing Motherhood" soon to be released! I just found out that the publisher is tweaking the book trailer and it will be released again in the near future. I'll keep you posted! 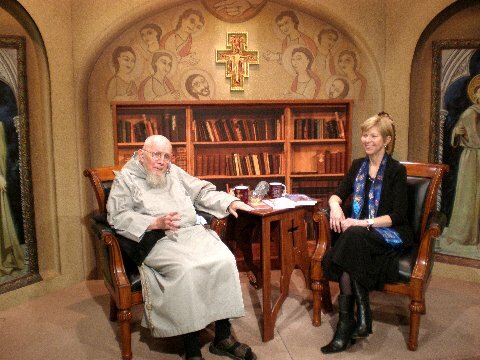 Tune into my recent radio chat discussing all things Catholic! I'm sharing a recent radio show segment where I discuss many Catholic topics with Dina Marie Hale including my friendship with dear Mother Teresa, living in the domestic church, the communion of saints, media--a place to share ideas, and so much more. Make yourself a cup of tea or coffee and give yourself some time to listen in. I hope you enjoy it. Please feel free to leave a comment here. God bless you as you journey through Advent! If I only knew Catholic wife, author, and mother of five Donna-Marie Cooper O'Boyle from reading her books, I would have been looking forward to receiving my copy of her latest one: A Catholic Woman's Book of Prayers, but having met this woman in person, kept up with her blogs, and corresponded with her a bit, I was very eager to get mine in the mail. Being a W-O-M-A-N, I was immediately attracted to the beautiful cover and compact size of this book. Both make this a perfect gift, easy to carry in your purse, and pull out to read during those times when God's answer to your prayers is "wait." Donna-Marie covers a wide array of topics near and dear to the hearts of women. With brief reflections, carefully selected quotes, Scripture verses, and poignant prayers, she takes the reader through the joys and sorrows of what it means to live out our feminine genius in light of the Lord's love, mercy, and grace. 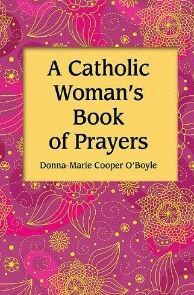 This book is a great way to introduce someone to Donna-Marie's work, since she includes in it some touching stories about her life, reveals her deep level of prayer and devotion to serving Christ, and clearly displays the importance of women in bringing about the sanctification of our families, neighborhoods, workplaces, and society as a whole. 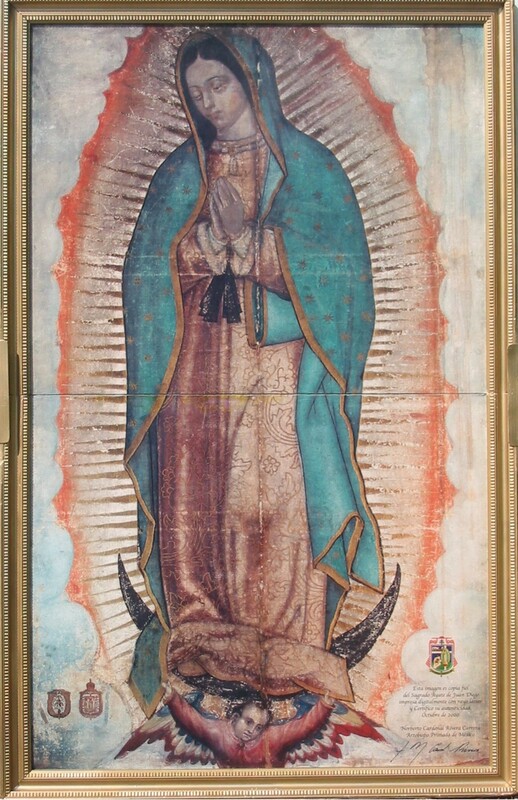 She is sensitive to the many challenges women face and encourages us to turn to the Lord for the guidance, strength, love, joy, and gentleness we need to carry out our unique roles as wives, mothers, sisters, spiritual mothers, consecrated religious, grandmothers, and daughters of Our Blessed Mother Mary, the best example of total submission to God the Father and Jesus Christ His only Son. I love that the quotes she uses throughout are from such a vast variety of sources, because this allows us to see that a number of holy men and women, including saints, popes, and other writers over the centuries have confirmed the dignity and goodness inherent in being female. I am confident after this taste of Donna-Marie's spiritual wisdom and steadfast faith that many will be eager to check out her web site, take a look at her blog, read her other books, listen to her on the radio, and tune in to her show on EWTN. 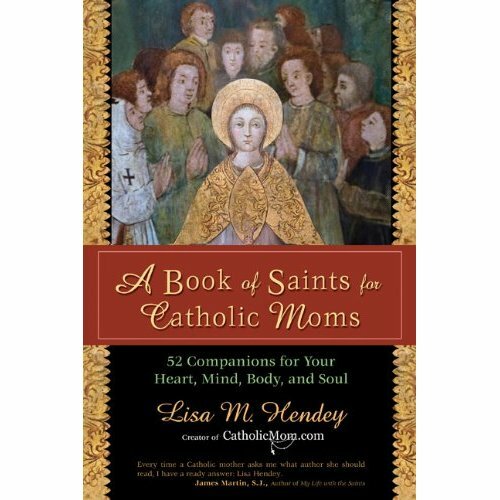 Thank you,Trisha Niermeyer Potter "spiritual diva" for your very kind review. May God bless you and yours!